"She'll fight on the beaches. She'll fight in the fields." 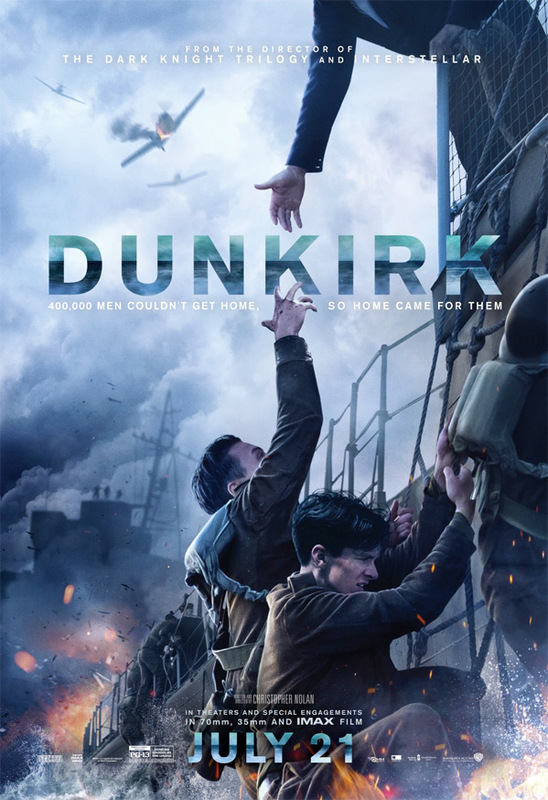 With just a few weeks left to go, Warner Bros has debtued another extended TV spot/TV trailer for Christopher Nolan's WWII action thriller Dunkirk, about the Dunkirk evacuation in 1940 at the beginning of WWII. This new spot also announces tickets and info about the 70mm showings of the film, which is the widest 70mm release ever. This stars Mark Rylance, Tom Hardy, Cillian Murphy, Kenneth Branagh, James D'Arcy, Harry Styles, Aneurin Barnard, Jack Lowden, and Adam Long. When Allied soldiers from Belgium, Britain and France were surrounded by the German army during a fierce battle in France at the start of WWII, they had to evacuate across the English channel. I'm still so excited to see this, got a good feeling it's going to be a very intense experience.